Steam shot up to 180 g/min, even vertically - perfect for removing creases in curtains and garments. The TexStyle 3 steam iron makes your ironing more gentle and easy, even when ironing backwards. 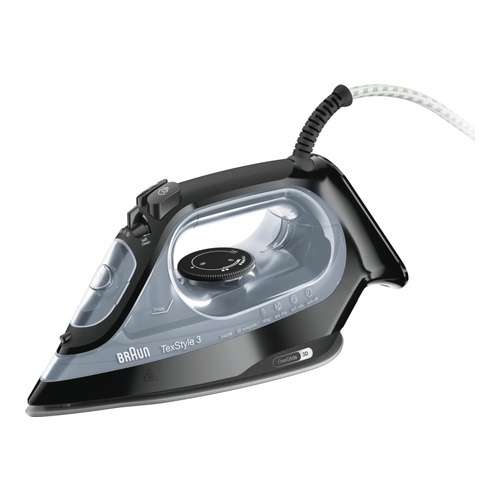 The iron has a steam shot of up to 180 g/min, even vertically, which is perfect for removing creases in curtains and garments. It has an ideal combination of 2400 W power output and steam emission for a great end result.